For all Harry Potter fans, it's a day of mixed feelings -yes, Voldemort killed James and Lily on Halloween (and Petttigrew killed a lot of Muggles on November 1) but it's also the anniversary of Ron and Harry getting over themselves and becoming best friends with Hermione. Plus, cosplaying as your favorite witch or wizard is awesome - and giving sherbet lemons to Trick or Treaters is magical. This year, alongside The Harry Potter Alliance, we’re throwing a big, virtual Halloween party with no beginning, no end, no IRL location, and a lot of fun! Like all great parties, this one doesn’t exist in a certain time or space. 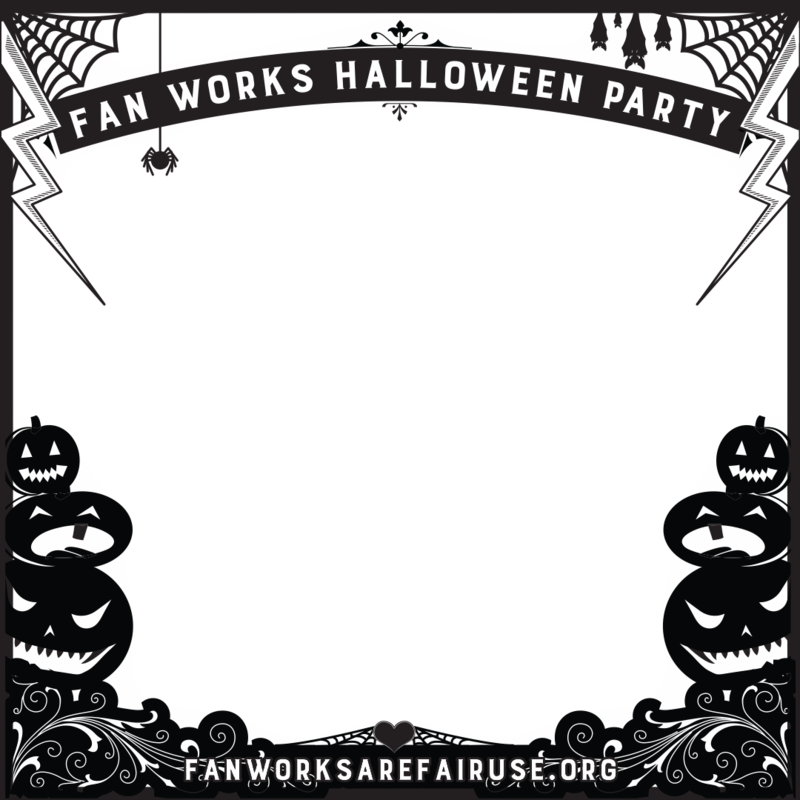 To attend the party, all you have to do is share your Halloween costume or recent cosplay in honor of our Fan Works Are Fair Use campaign. FWAFU sets out to stand up for all the ways fans channel their love of their favorite stories into new creations, from fanfiction to fan art and beyond. One of our favorite forms of fan creation is cosplay - what better time to show off all of our creative interpretations of our favorite characters than Halloween? It’s pretty simple: take a photo in costume (this is even easier if you’re heading out to a party this weekend - just snap a picture on your way out or once there! ), encourage the world to sign up at fanworksarefairuse.org by including the url and a call to action in your caption, and tag us (we’re thehpalliance and fictionalley just about everywhere). We even have a nifty frame you can add to your photo for maximum spookiness. Bonus points for recruiting your friends at IRL Halloween parties. We’ll be celebrating from now until Halloween, so get your photos ready! Whatever your fandom, we want to see it - especially if you've done a crossover between Harry Potter and Lin-Manuel Miranda's Hamilton musical, or one of the stories by Harry Potter fans like Rainbow Rowell (Simon Snow series aka Carry On), Lev Grossman (Magicians series), Cassie Clare (Mortal Instruments series) or Aimee Carter (Goddess series). Fanworks Are Fair Use and Creativity Is Magic have been the missions and themes at FictionAlley since we were founded. We are proud to stand with The HP Alliance to protect fanworks and fan creativity.